We’ve seen some pretty incredible 3D street art around, and this simple rug brings some of it inside. 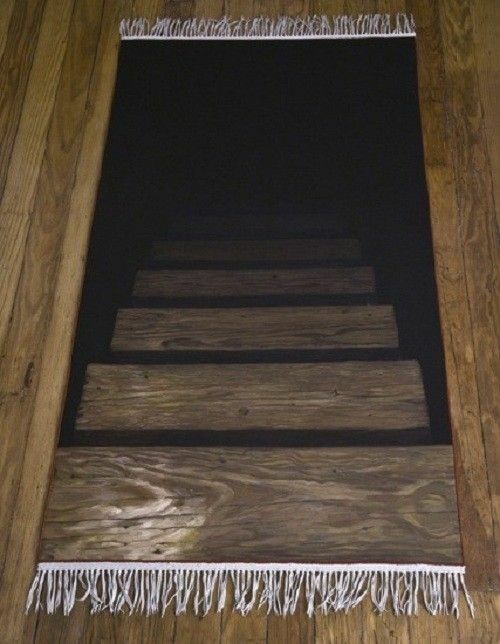 I’ll bet you can’t casually stroll across this without at least feeling a little uneasy. Haven’t gone 3D yet. You are far from the only one. 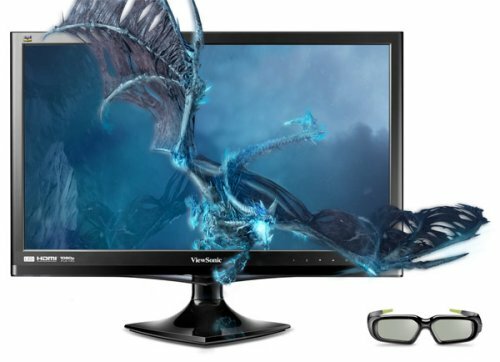 But if you want to get your 3D on, ViewSonic is offering this 24-inch V3D245 monitor. It features a 1080p LED-backlit panel, an NVIDIA 3D Vision wireless emitter and a pair of 3D Vision glasses. Other features include a 120Hz refresh rate, two millisecond response time, HDMI 1.4 socket and 300 nits of brightness. There’s also a three-year limited warranty. It will cost you $499 later this month. LG Korea has announced the DX2000, a new 20” LED Backlight 3D Glasses-Free monitor that comes with an integrated Web Camera for basic Video Conference needs and it also features LG’s Eye Tracking technology. It tracks your eyes in real-time and can fine-tune 3D images for the best experience no matter your position. LG also fitted its DX2000 with the usual 2D to 3D conversion technology and it will arrive on the market shortly in Korea. 3D is the latest gimmick to get you into theaters, but maybe you don’t want 3D. Maybe you are sick of it. Maybe it even makes you sick or gives you a headache. Not everything needs to be 3D. These 2d glasses can help. 3D movies show two overlapping images on the screen, with one image for the right eye and the other for the left eye. 3D glasses darken the eye that is not meant to see the image. 2D glasses takes the image for the right eye and shows both eyes. What you get is plain old 2D. The Loewe “Individual 3D” TV is all about customization. You can choose the color of the TV’s insets for instance. There is metallised chrome, neon pink, ebony, blue, and more to choose from. You can also choose how to integrate the TV into your room, if you want to put it on the wall, on a screen lift, or on one of Loewe’s racks. It also has nice specs like being a 3D TV that will work with Loewe Active 3D glasses, and it will convert 2D content into 3D. There is also a built-in DVR with a 500GB capacity, an LED display, and a Loewe Subwoofer and Sound Projector for 7.1 sound from a single speaker. nVidia has introduced a new wired version of its 3D Vision glasses at Computex 2011. 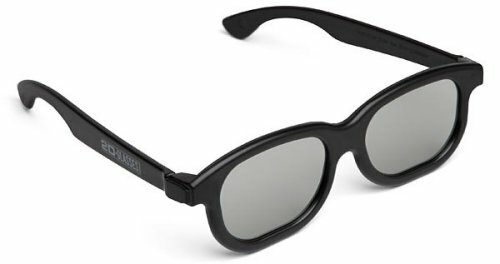 These 3D glasses use nVidia’s active-shutter technology, which allow users to play computer games and movies in stereoscopic 3D. All you do is connect these glasses to your PC via the 10-foot-long USB 2.0 cable and you are good to go. 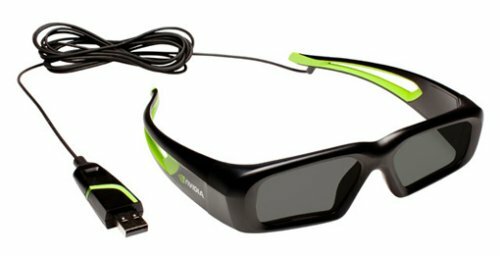 If you prefer wires to wireless, the nVidia 3D Vision wired glasses will be available in late June. Looks like Samsung has expanded its Explore 3D app with free, on-demand content and a US launch. Great news if you have the proper TV. It includes music videos, movie trailers, educational content and even full-length TV shows from Wealth TV, among others. At a later date, studios will offer paid content through the app, which is available on samsung’s connected 3D LED-lit LCDs and 3D plasma TVs. The paid content will arrive later this year and include feature films, shorts and full-length documentaries. The service will require signing up for an account using a PC. Nissho Electronics in Japan is starting to sell a 52-inch LCD panel that can pump out full 1080p 3D content without the need to wear glasses. This large and in charge display will target businesses first, since they cost $20,820. Other specs include a 2,000:1 contrast ratio, 8ms response time, 700 nits of brightness, and a 60Hz refresh rate. The 3D on this TV is a unique “2D + depth” implementation, which can also be used to convert 2D images in real time. You and I wouldn’t know since we can’t afford it. If you love 3D, then LG has some good news for you today. The company has revealed that it will use Wikitude’s 3D browser in its LG Optimus 3D smartphone. The browser allows better interaction and engagement with real-time user environments. 3D Augmented Reality can show places, landmarks and objects in 3D, making them easier to distinguish and of course, much cooler to look at. The Optimus 3D, is set to arrive in Europe this summer. 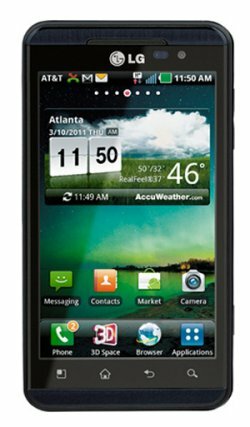 It should be a hit since the Wikitude World Browser is the first AR smartphone browser ever and the LG Optimus 3D also incorporates several other world firsts. Like the world’s first dual-core, dual-channel, dual-memory architecture and they also claim that the phone is the first full 3D platform providing glasses-free viewing, recording and sharing of 3D content. 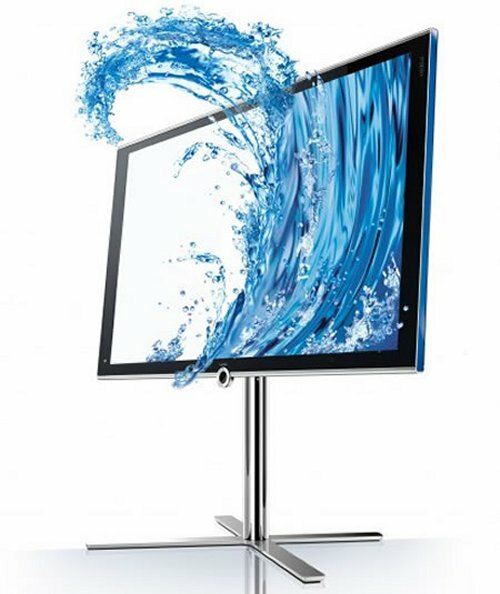 German manufacturer Loewe is getting into the 3D television market, with its first 3D screen. It features great industrial design and is handcrafted and sculpted. 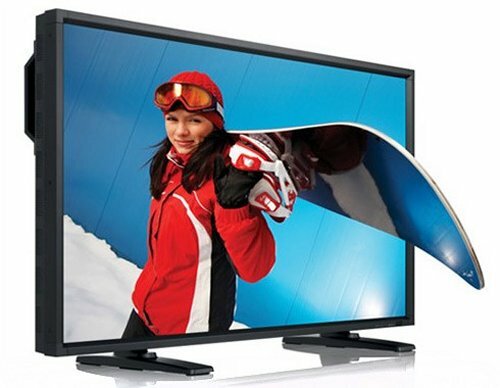 The Full-HD LCD 3D television screen has LED backlighting and a 400Hz picture quality. This set also offers a 500GB DR+ hard drive, so you can record and replay all of your 3D content easily. The screens are also available in just about any color finish you like. 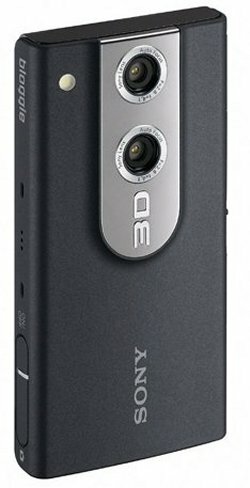 The Sony Bloggie 3D camera is now available to purchase online. The device offers 3D video recording and image capturing for those who are budget-minded and don’t want to pay a fortune for 3D. It will shoot 3D videos at 1080p and take 3D stills at 5 megapixels. Its Exmor- CMOS sensor will deliver great quality images even in low light and you can even take photos while you’re shooting a video. Some features include a 2.4″ glasses-free 3D screen, 8GB of internal storage good for 4 hours of footage and an HDMI output. Acer has launched the new HN274H 3D monitor series in the US. The new 27-inch HN274H and 23.6-inch HS244HQ widescreen 3D LCD displays provide full HD 3D visuals via HDMI or DVI-DL to PCs, Blu-ray Disc Players, game consoles, DSRLs and 3D TV programming via a set-top box. It has your 3D viewing covered. As a bonus, these models consume 68 percent less power than standard LCD displays. The 27-inch HN274H and 23.6-inch HS244HQ widescreen 3D LCD displays are extra durable, RoHS compliant and constructed with mercury-free white LED backlight. 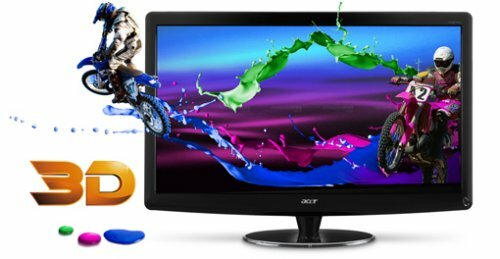 The Acer 27-inch HN274H and 23.6-inch HS244HQ Widescreen 3D LCDs are available in the U.S. for $689 and $449. When you watch 3D movies in the theater, the glasses are heavy and uncomfortable. Dolby has a new solution and has just announced this newer and lighter pair of 3D glasses. They will also come with anti-theft measures and an RFID tag for inventory control purposes. Theater owners will also be happy to know that the thinner lenses can be washed and reused hundreds of times. They are $12 each and are cheaper when purchased in bulk. Though they won’t improve the quality of a movie script or lower ticket prices. 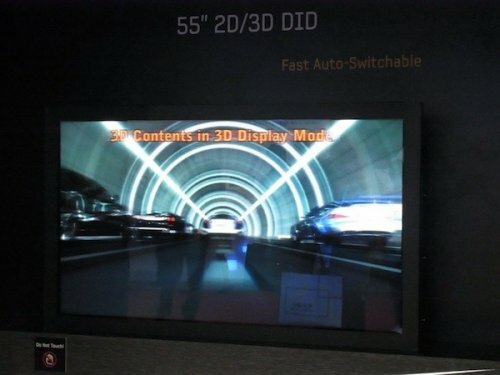 Samsung is now showing off a 55 inch glasses-free 3D TV at the FPD China trade show. It’s a prototype for now. The 55-inch display can accommodate nine different viewpoints for glasses-free 3D viewing, and can be switched into a 2D mode any time. To switch modes, it changes the optical refraction index of an LCD panel that sits on top of the main LCD that’s actually used to display images. The prototype uses a direct-lit CCFL backlight, which will likely be replaced with an LED backlight before it hits the market. For now, it’s still about 3 years away. JVC has announced the world’s first 3D consumer camera, the GS-TD-1. Now you can shoot 3D content that is viewable on any 3D TV. The GS-TD-1 uses two camera lenses and two imaging sensors to capture 3D images, just like your eyes do. You can shoot content in 3D and in full 1080p HD, side by side (960 x 1080 x 2) for AVCHD 3D recording and 2D AVCHD shooting. It features 64GB of built-in flash memory, but you can expand that by using the SDXC card slot. Other features include 3D optical 5x zoom, Optical Axis Automatic Stabilization System, and Automatic Parallax Adjustment. The display is glasses-free 3D so you can check your 3D content easily.